In 2012, Telltale Games exploded into the mainstream with an emotional tale of humanity in a world full of monsters and ordinary struggles within extraordinary circumstances. The Walking Dead was already well known for its comics and television show, but Telltale delivered a premiere season on par with any other medium tackling Robert Kirkman's zombie-infested world. More than half a decade later, Telltale has expanded its stable of licensed properties to almost an absurd degree. From Game of Thrones and Borderlands to Guardians of the Galaxy and even Minecraft, the studio has applied the formula from that first season of The Walking Dead to myriad beloved properties. Despite this, The Walking Dead remains the most resonant franchise for many fans, as players lovingly watched Clementine grow from innocent child to hardened survivor. 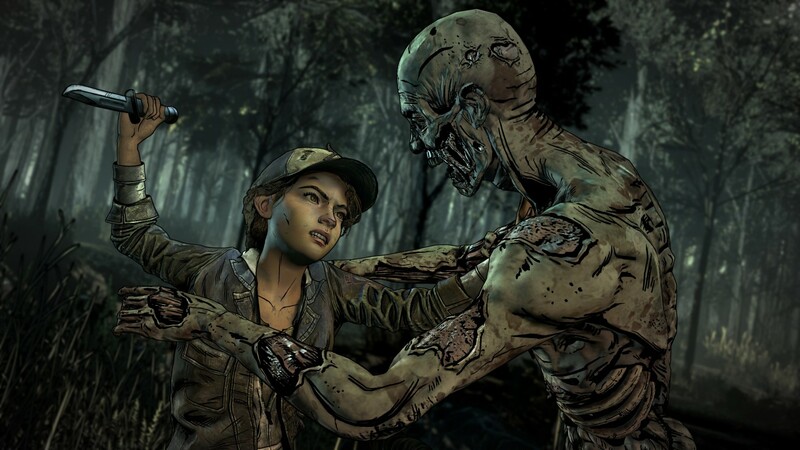 In November, players learned that they'd be forced to say goodbye to Clementine and Telltale's vision of The Walking Dead, as the studio announced the final season was coming in 2018. While longtime players will undoubtedly lament no longer following Clementine's adventures, it represents the end of an era for Telltale. We caught up with lead writer James Windeler and the voice actor of Clementine, Melissa Hutchison, to see how they're approaching these final moments with the character. You’ve been with the series and the character of Clementine since the get-go. What’s it like to be coming up on the end? Melissa Hutchinson: Well, this final season is all for Clementine. It’s been incredible to be on the game for so long, starting with her character at such a young age, then getting to where we’re at now. It’s incredible. Were you surprised at how people took to Clementine? MH: Yeah! I mean, no, but it’s kind of hard to say that now. 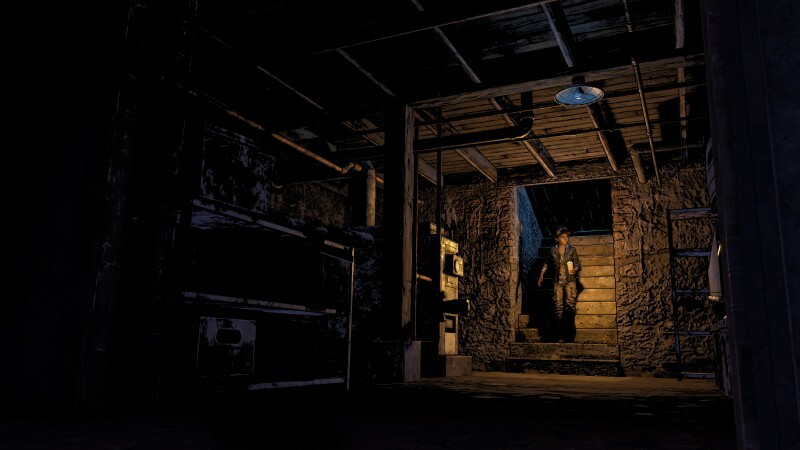 In retrospect, it all makes sense, but in the beginning, when we first started this journey, the explosion of the game in general, and how the fans latched on to Lee and Clementine’s story was a beautiful surprise. It’s not shocking since it’s such an amazingly written story, but I have a lot of gratitude to the fans for sure. At the end of the first season, we had a very tragic loss. What is it like to build a character up and establish this relationship and then have to cut the cord in such harsh fashion? MH: I believe that when season 1 was created, it wasn’t even known that Clementine’s story would go on. I don’t think there was this intention that it would go on and that we’d do this whole series. James Windeler: I wasn’t there, but I think it was definitely designed to be a self-contained story and I don’t think it was known just how big of an explosion it would cause. The writers… everyone was taken by surprise by its incredible success. If you think about the story, the most complete and concrete arc is Clementine’s in the sense that she, through Lee’s sacrifice, learns to be self-sufficient, at least to a degree… as much as a child of that age can be. It’s Clementine’s story, and it makes sense that it’s the story that continues. 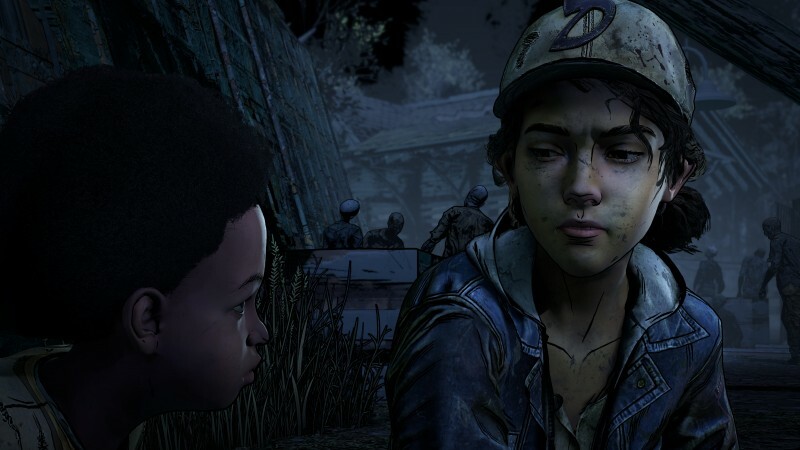 People were sad to lose Lee, but it was an essential part of Clementine’s growth. What lessons do you think have been most valuable for Clementine over the course of her arc? MH: It’s really cool because with each episode she’s growing and learning, but all of season 1 was basically this five-episode journey to getting her to the point where she can survive on her own. With the ending of season 1, depending on how you played it – I still can’t believe there are people who played it in a way where you don’t take that final action – at the end of that season, she has to do this horrible thing, but that’s the test that says she’s ready. She can do it. But each season, she’s been growing and getting stronger. With the story of where she’s at now with A.J., it’s really kind of honoring her relationships with Lee, and in this last season, she’s in a place where she’s having to take care of a young child and do her best in this crazy world. I think those are all really strong lessons she learned from Lee on being able to survive on her own. I think that’s going to really be reflected in this final season. How would you describe Clementine now versus how you would describe her in the first season? MH: When we meet her in the first season, we already know this kid’s got some brains in her because she knows to hide in her treehouse to survive. The s--t's hit the fan and she’s survived this far. We know she’s going to be a solid character in that department, but she was so young and an 8-year-old kid has to be taught everything about how to survive in that world. Now, she’s grown into, in my humble opinion, one of the most badass female characters in gaming history. She’s so strong, and she’s maintained the essence of the little girl who people wanted to protect. You’re getting to the point now where it’s almost time to say goodbye to the character. What is that like? MH: It’s bittersweet! I’m sad just because I’ve spent so much time with her, so of course that coming to an end… I’m trying to savor every moment of it. It’s very sad, but we were talking earlier that it’s a good time and a good place with her character to… it’s hard for me to say the word “end,” because I don’t believe it as a fan of the game! JW: Always know where to end. It’s time for us to end Clementine’s story. You breathe life into this character. What is that like to go your separate way? MH: I don’t know. [Laughs] I guess talk to me in about six months! Interestingly enough, throughout the process of recording, it’s kind of a furious few months of recording, then there’s a lot of time in between. I was telling someone earlier that [Clementine] has become such a presence in my life, it’s really easy to connect with her. It’s going to be a big transition, so I don’t know… I don’t know how it’s all going to play out, but I feel like those last recording sessions are going to be tough. Have you thought about that last walk out of the booth as Clementine? MH: Oh man… I’m probably going to need… I don’t know what I’m going to need! MH: Yes! I’m going to need whiskey and a support staff of friends. I’m hoping that I’ll at least be nearby with the people who have worked on this game so we can all go out and celebrate an amazing success. MH: Yeah! We’ll all be in veils, black… total mourning! JW: We’ll have tissues on hand. MH: Yeah, it’ll be rough, but again, end it while it’s good. We’re going into this final season. How do you meet the expectations of fans who have invested years into this character? JW: Clementine as a character has been extremely important to us as a studio and to fans, and we know that. We’re playing as Clementine, which you did not do in the third season. It’s really her story, and we’re working as hard as we can to create an emotional, engaging, and thrilling finale… a send off for this character. We’ll hopefully bring the story to a close and create some pretty strong emotions in players. It’s a challenge. MH: No pressure, right? There are no fans who are waiting for this season to come out at all. [Laughs] I don’t envy [the writers’] position at all. JW: The truth is, we have a great character. We have a target for the ending, and we’re trying to deliver on everything that Clementine has come to mean. On the other side of that, how do you defy fan expectations? JW: I can’t reveal what we’re doing with the story, but we’re aiming to both satisfy and subvert them to a degree. We’re doing what we can to create the most compelling, exciting, emotionally fulfilling end to the series. Does this feel like the end of an era for Telltale given how important this series has been to the studio’s success? JW: I definitely feel like the studio is moving into an exciting new time, and we are saying goodbye to Clementine, a character who has been hugely, hugely important to the studio. In that sense, it is the end of an era. In that sense, we are transitioning. But it’s also an exciting time. It’s not a mournful time. It’s something to be celebrated. What should fans expect going into this final season? JW: They’re going to pick up with Clementine on the road – a fierce, capable survivor. She’s going to be on the road with A.J., the closest thing she has to family. The two of them are on their last legs when they find a secluded school where there are no adults in sight; it’s a community run entirely by children. This, for Clem and A.J., represents a possibility of home. They might be able to settle here. That’s the setup for the first episode, but we also have new gameplay features. We’re introducing segments of unscripted combat, which means we’re taking a step away from our QTEs, and there’s a lot more flexibility and freedom. We’re putting you right into the action and there’s a sense of fear about living in this world.